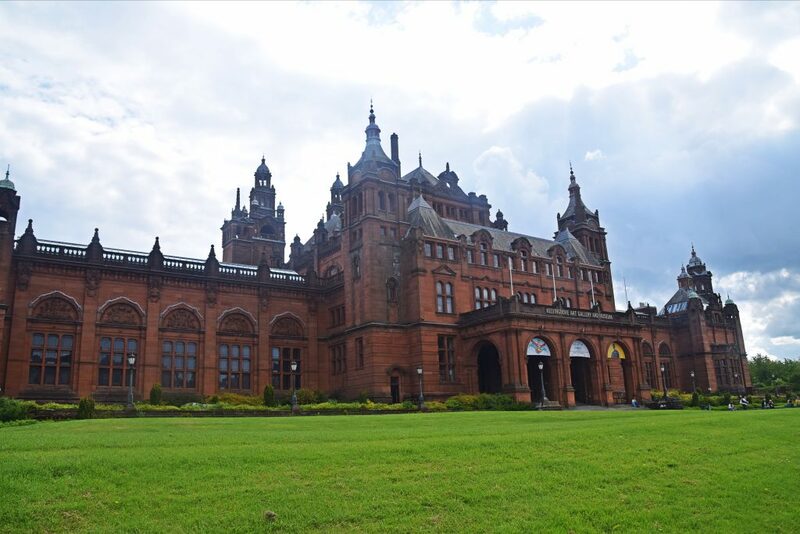 Standing majestically in the middle of lush greenery, the red-stone Kelvingrove Museum looks like a museum. 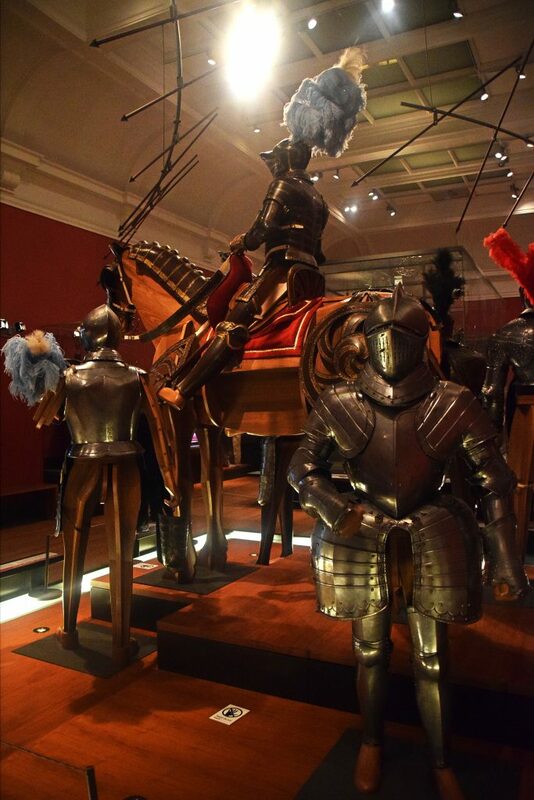 It opened in 1901 and and was refurbished in 2006, displaying its wide and varied collection thematically. There are sections on stuffed animals, paintings, the Egyptians, Mackintosh… in short, it’s almost like an enlarged cabinet of curiosities, with a few really spectacular items along the way. The first section we entered was on the Glasgow Boys. This term was new to me, and refers to a group of painters who were influenced by Whistler and French realism and were all for painting real people in real places. They were a loose collective of about twenty members, and the works of some of the main exponents are on display in the gallery. 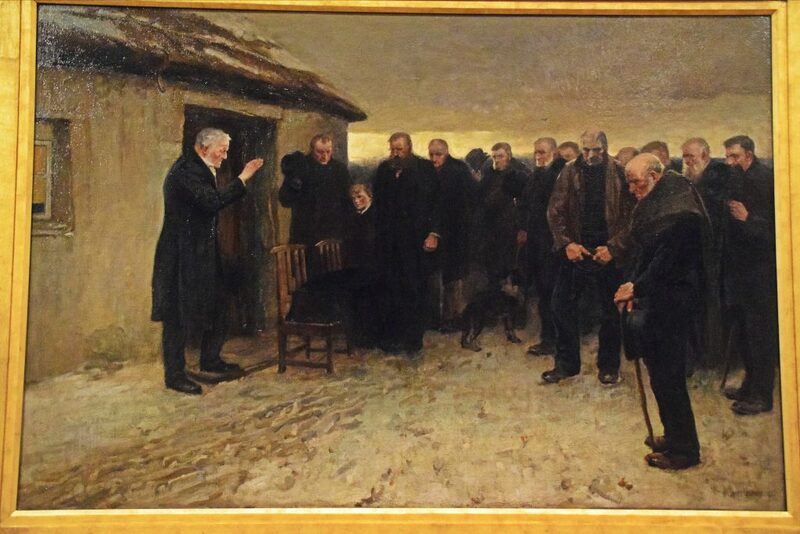 A Funeral Service in the Highlands, 1881/2, James Guthrie, Kelvingrove Museum, Glasgow, Scotland. 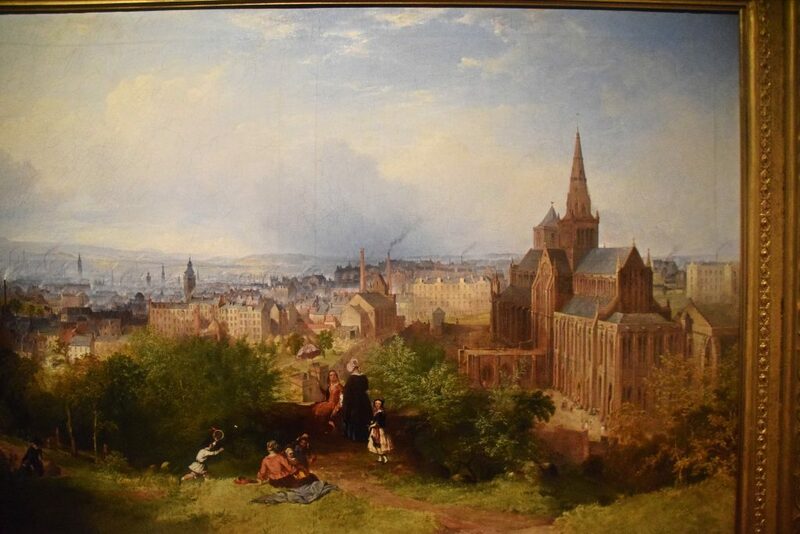 A funeral of a young boy at Brig o’Turk moved Guthrie to paint this scene. 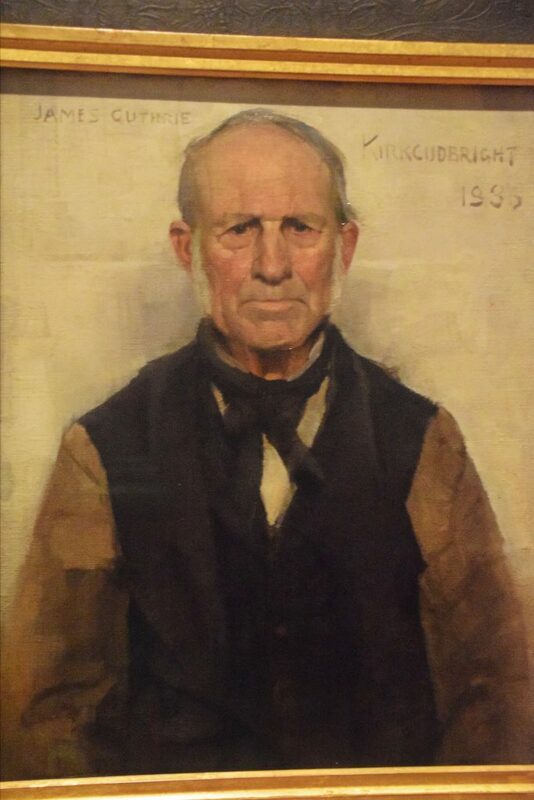 Old Willie, the Village Worthy, 1886, James Guthrie, Kelvingrove Museum, Glasgow, Scotland. Old Willie was a local Kirkcudbright character. 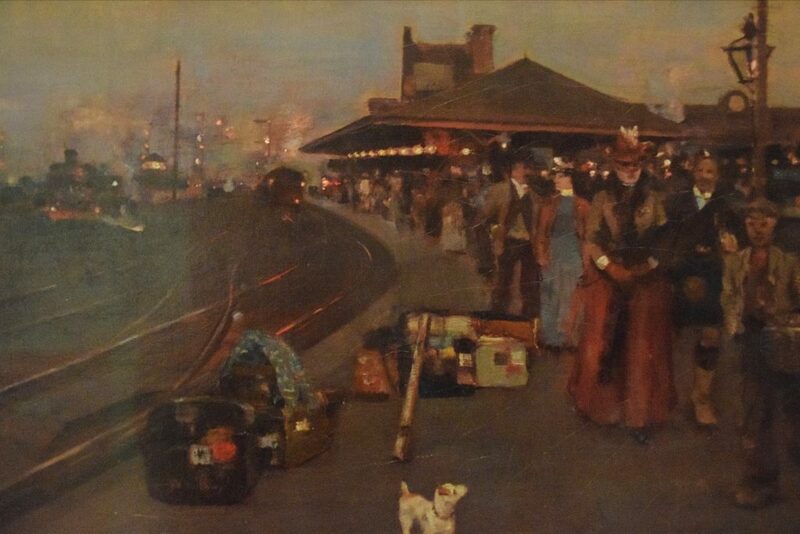 Stirling Station, 1887, William Kennedy, Kelvingrove Museum, Glasgow, Scotland. Twilight paintings like these were made fashionable by Whistler. 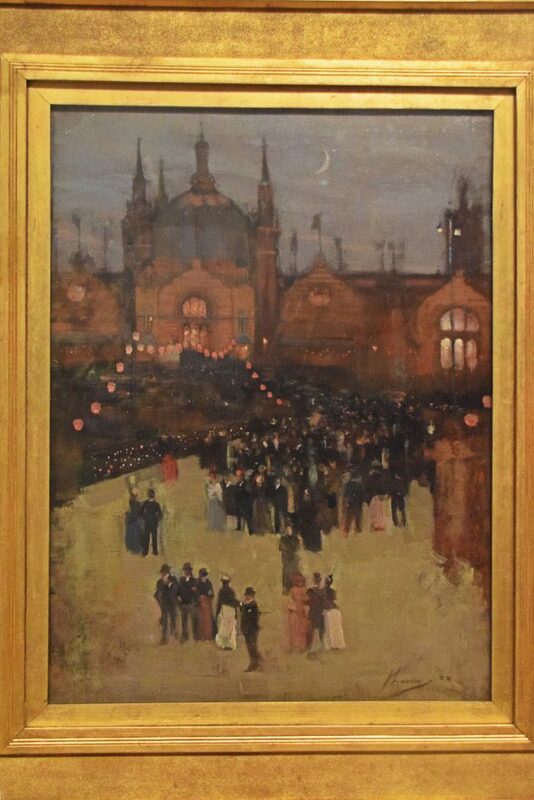 Glasgow Exhibition, 1888, John Lavery, Kelvingrove Museum, Glasgow, Scotland. The crowds are coming across the bridge over the River Kelvin. 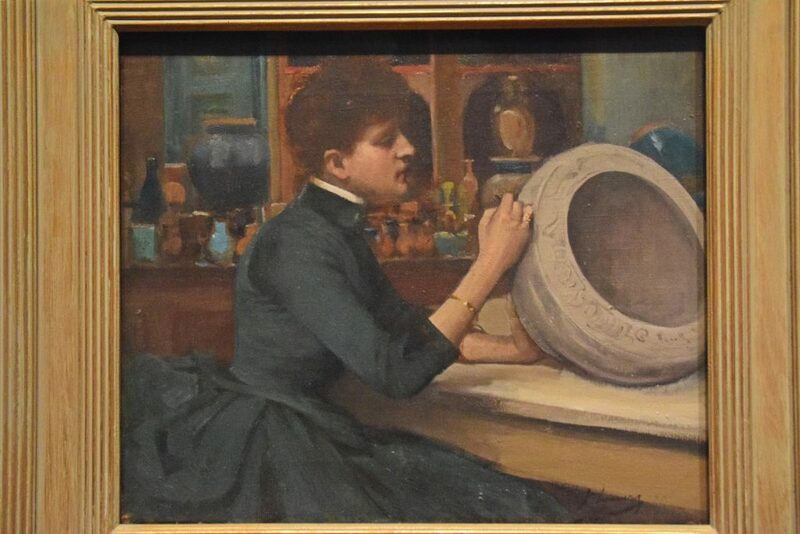 Potter at Work, 1888, John Lavery, Kelvingrove Museum, Glasgow, Scotland. Visitors to the Glasgow International Exhibition in 1888 could watch Bengali potters Tarini Charan Pal and Harakumar Guha, visiting Scotland specially for this event, at work in the Indian Court. 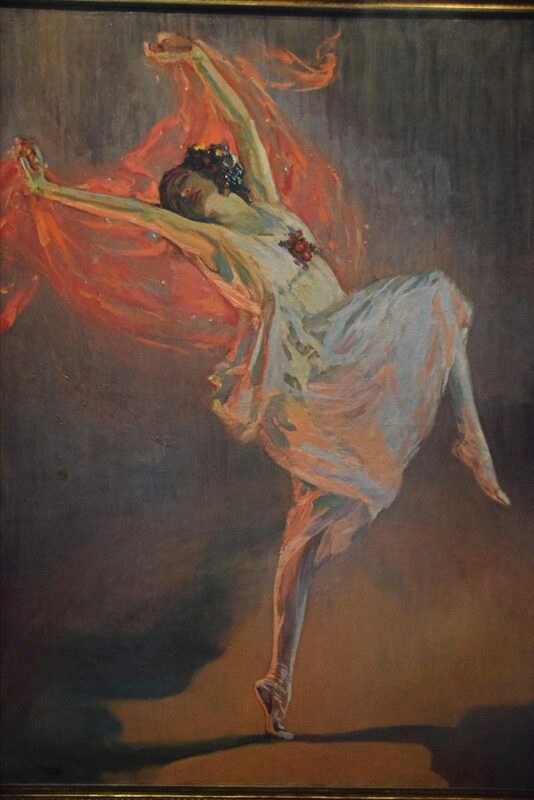 Anna Pavlova, 1910, John Lavery, Kelvingrove Museum, Glasgow, Scotland. After moving to London in 1896, Lavery concentrated on portraits, and became much sought after. 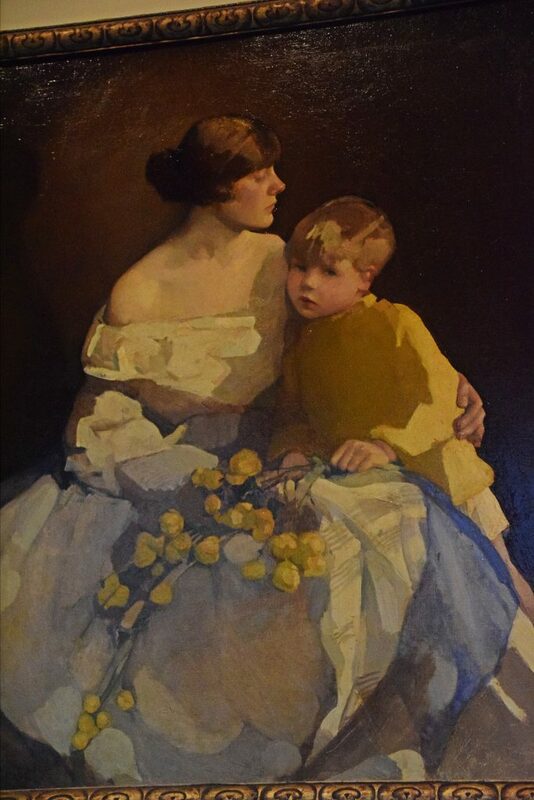 I was very taken by Guthrie’s atmospheric work, and by Lavery’s scenes, more than by his style. 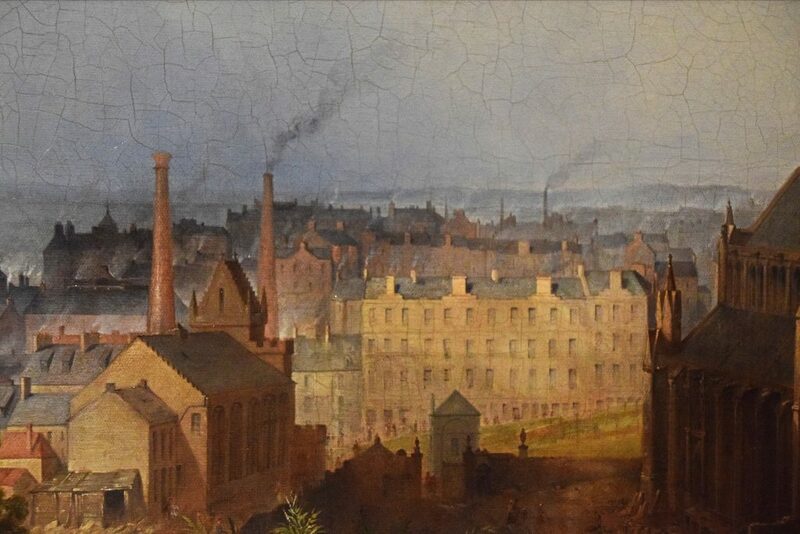 These local painters themselves soon became influential and it is significant that they were able to flourish during a period when Glasgow itself was flourishing, and that they documented their city – and their nation – by highlighting interesting and thought-provoking aspects of daily life. 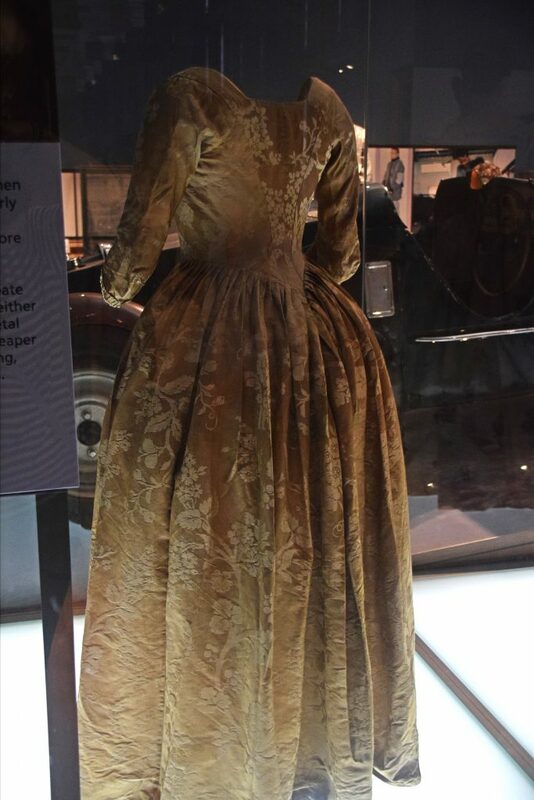 In one gallery 18th century clothes shared the space with cars, for some reason. 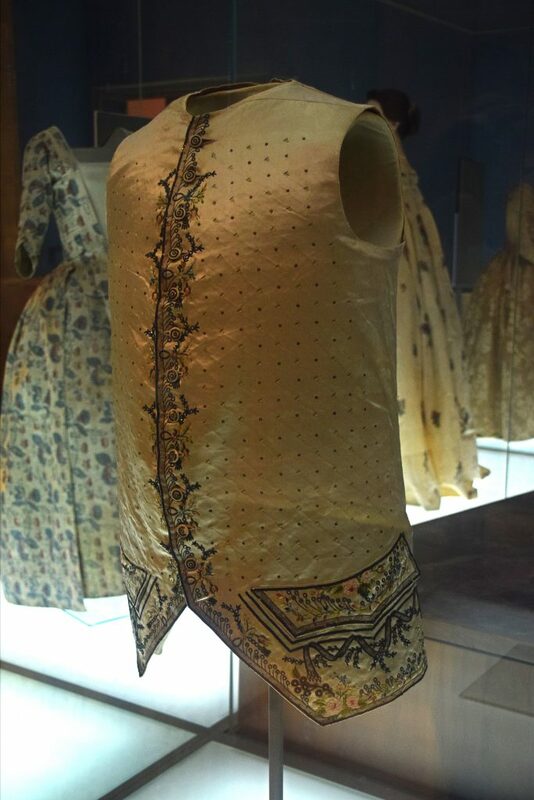 The dresses were stunning, and beautifully made, while the men’s waistcoats had such intricate embroidery that it’s crazy to think someone actually sat there and made them. 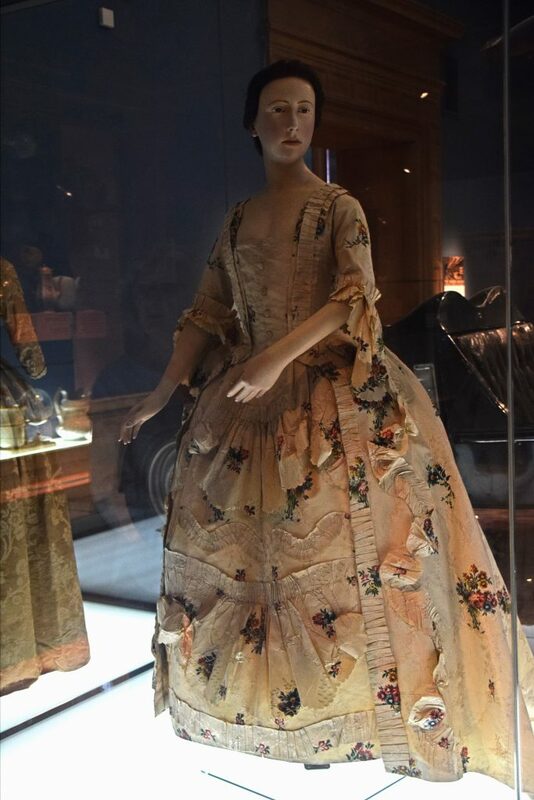 Robe a l’Anglaise, c1770-85, Kelvingrove Museum, Glasgow, Scotland. 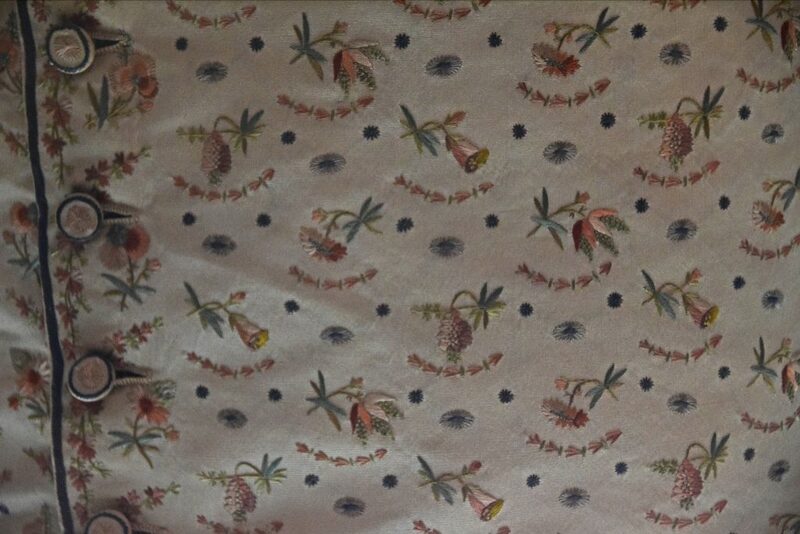 It’s made from a weft-patterned silk imitating damask. 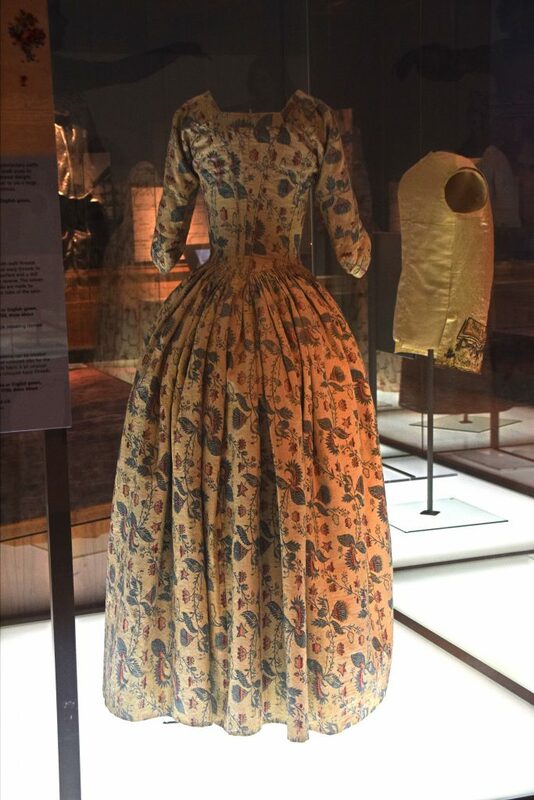 Petticoat, c1740, of wadded quilted silk and wool, and jacket, 1781/1, of cord quilted linen, Kelvingrove Museum, Glasgow, Scotland. 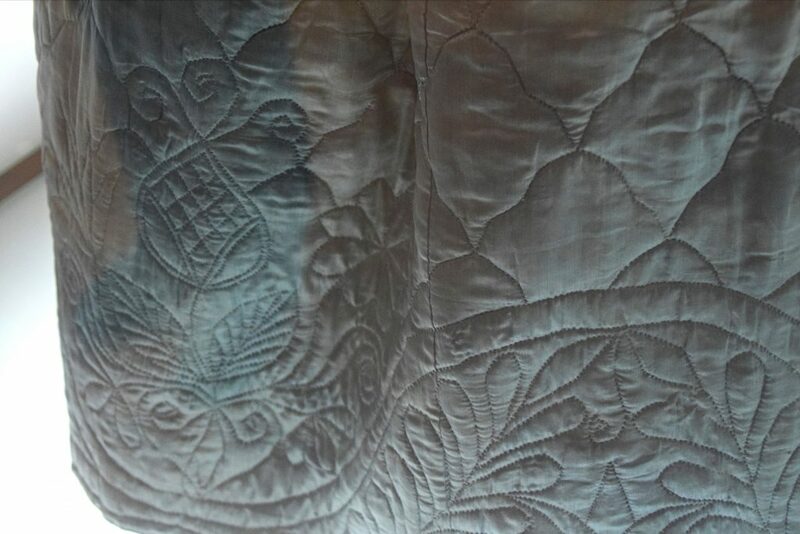 The wadded quilting in the petticoat includes a layer of light padding between the surface fabric and backing fabric. 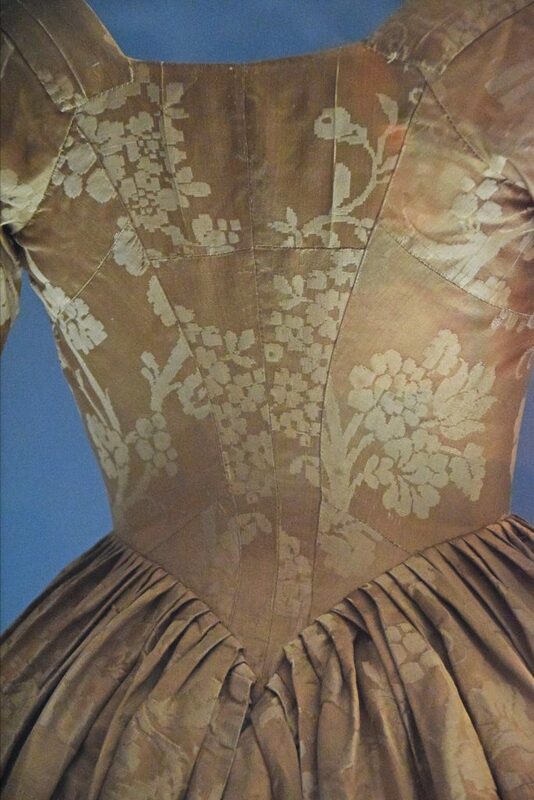 In the 1700s unwoven wool was used for the wadding. The peterlair or jacket is made of cord quilting, which involves stitching two layers of fabric together in a pattern worked in double parallel lines through which a narrow cord is threaded. 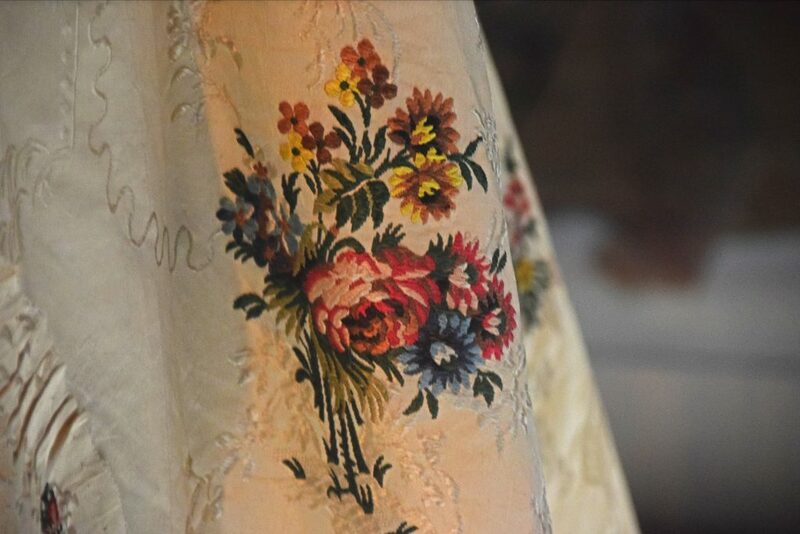 In the 1700s it was often used for summer daywear. 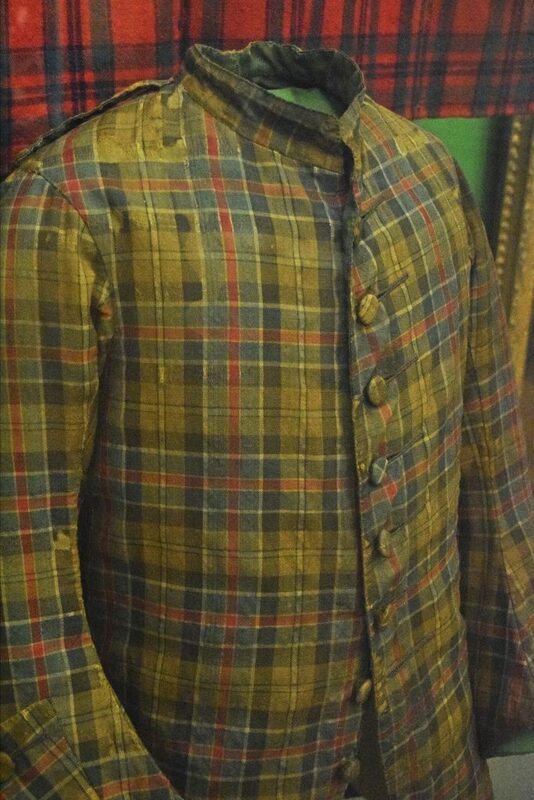 Man’s tartan coat, mid-1700s, wool, Kelvingrove Museum, Glasgow, Scotland. 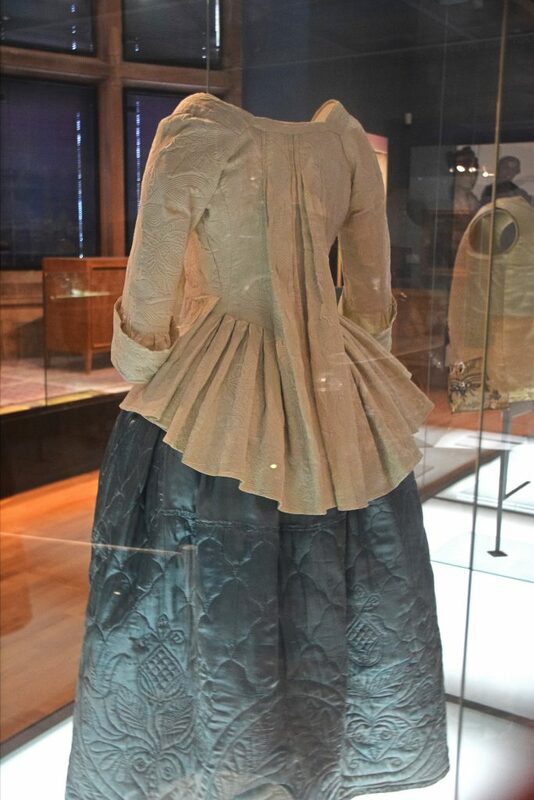 This rare coat shows how tartan started to be used for tailored clothes in this period. I’ve always had a bit of a problem with Mackintosh – and it’s not his fault. 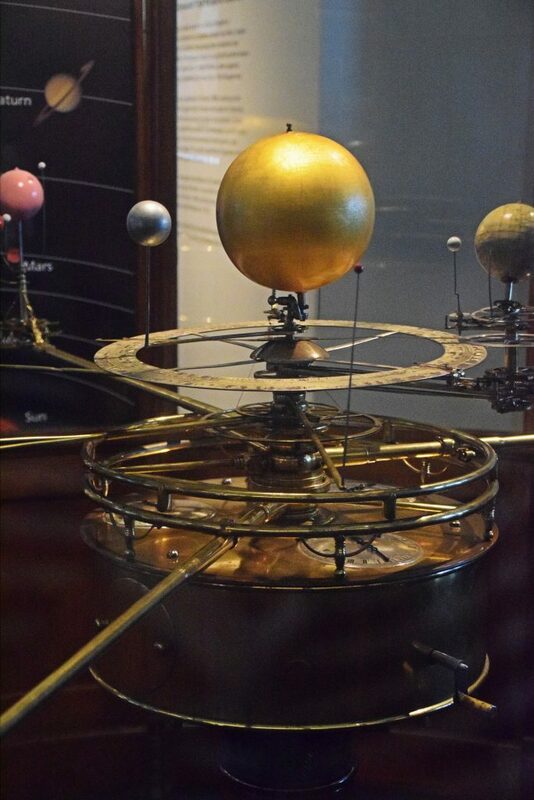 There used to be a shop in England called Past Times which sold things that were inspired by museum collections and artistic styles past. Mackintosh had the distinction of, I think, always having a range on sale, season after season. I hated what they sold. And when I briefly worked in the shop during the pre-Christmas season, I hated him even more. Fortunately, that’s a long time ago now, and I was hoping that seeing some of Mackintosh’s work in person might help erase the memories of Past Times tat. And it did! Yay! I have decided that the problem with Mackintosh is that photographs can’t do him justice. The modernity of his designs and the more novel aspects of his work don’t transfer well to 2D – they need to be experienced. He was so influential that you almost take aspects of his design for granted, forgetting that his style was both highly original and strikingly modern. 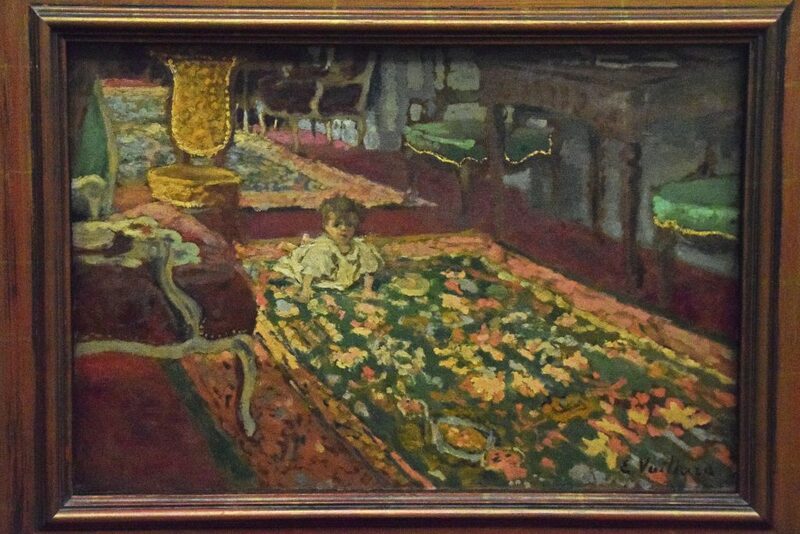 He made a unique contribution to what became the Art Nouveau style. 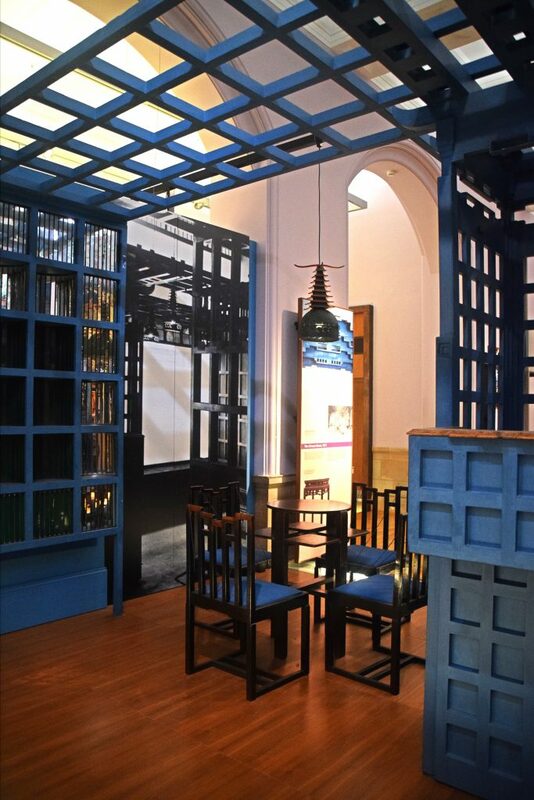 The Chinese Room, 1911, designed by Charles Rennie Mackintosh, Kelvingrove Museum, Glasgow, Scotland. For the gentlemen’s tearoom in Ingram Street. 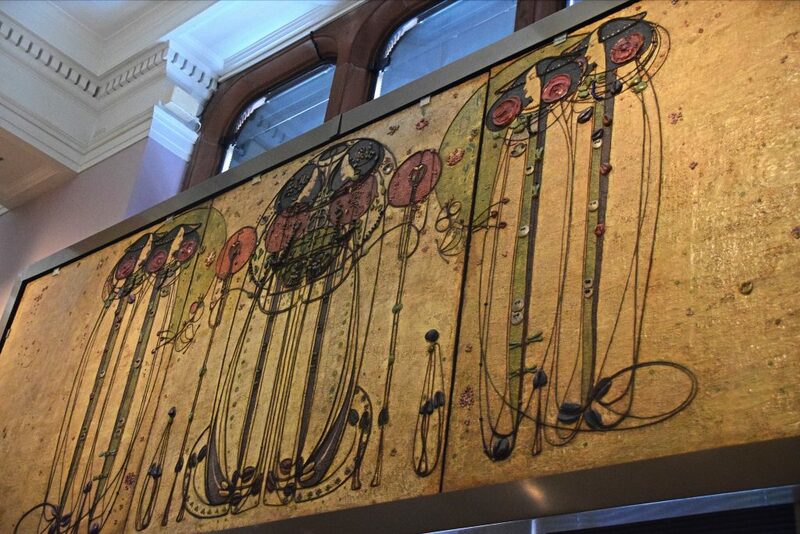 The works on display in Kelvingrove were created by Mackintosh for the fascinating Miss Catherine Cranston. Miss Cranston opened up her first tearooms in the city as ‘C Cranston’, which not only hid the fact that she was a woman, but also got her listed above her brother in the post office directory. Her brother, Stuart Cranston, was a tea-dealer who had started serving tea in his shop, where he’d put a few tables and chairs. The idea really caught on, and the Cranstons soon became business rivals. Catherine eventually had four of the largest tearooms in the city, and made a point of having each one decorated in its own unique way. Mackintosh formed the perfect business relationship with Miss Cranston as he exclusively designed her tearooms from 1900 onwards. He was given considerable artistic freedom, and in return she got to be too, too chic. Room from Miss Cranston’s tearooms, c1900, designed by Charles Rennie Mackintosh, Kelvingrove Museum, Glasgow, Scotland. This is the Ladies’ Luncheon Room from Ingram Street. This room was lit by cool northerly light, painted white, and had vertical stripes of shimmering aluminium leaf on the walls. The Wassail, from the Ladies’ Luncheon Room, Ingram Street Tea Rooms, 1900, Charles Rennie Mackintosh, Kelvingrove Museum, Glasgow, Scotland. Oil on gesso plaster on hessian and scrim, twine, glass beads, thread, mother of pearl, tin leaf. 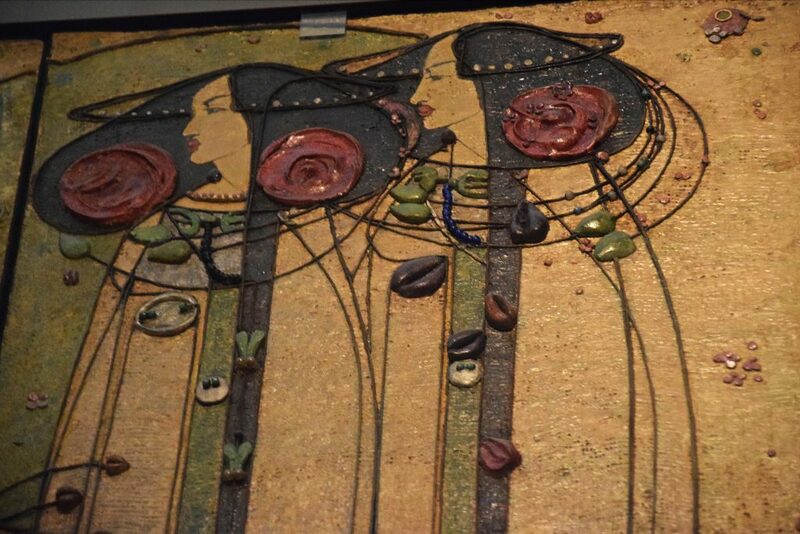 Mackintosh made these panels along with his wife, Margaret Macdonald, who was a celebrated artist in her own right. 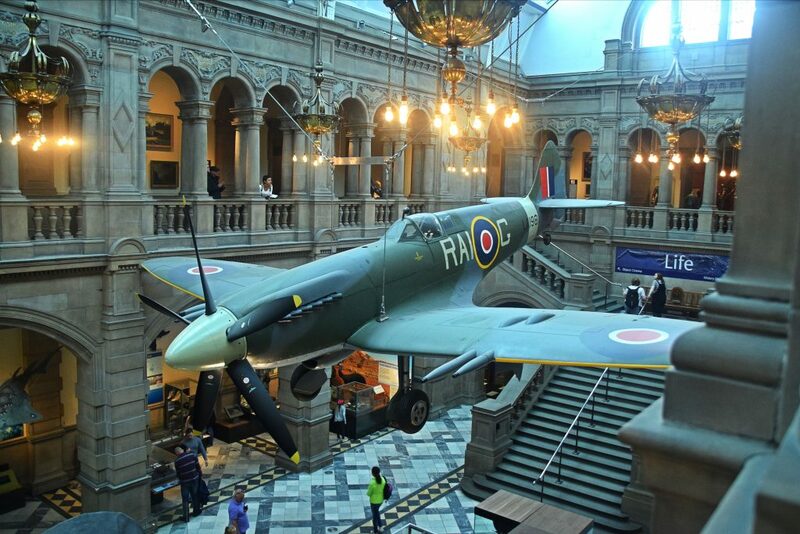 Mark 21 Spitfire, 1944, Kelvingrove Museum, Glasgow, Scotland. It flew with the 602 (City of Glasgow) Squadron between 1947-1949. 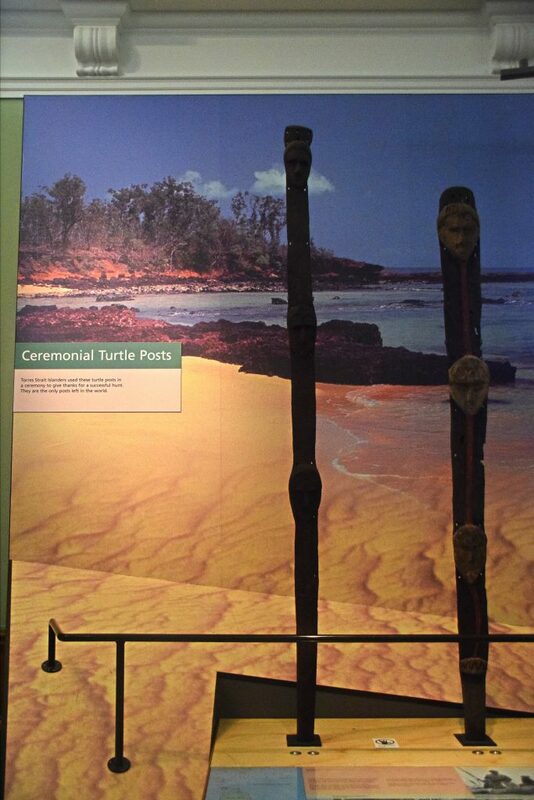 Turtle Posts, Kelvingrove Museum, Glasgow, Scotland. 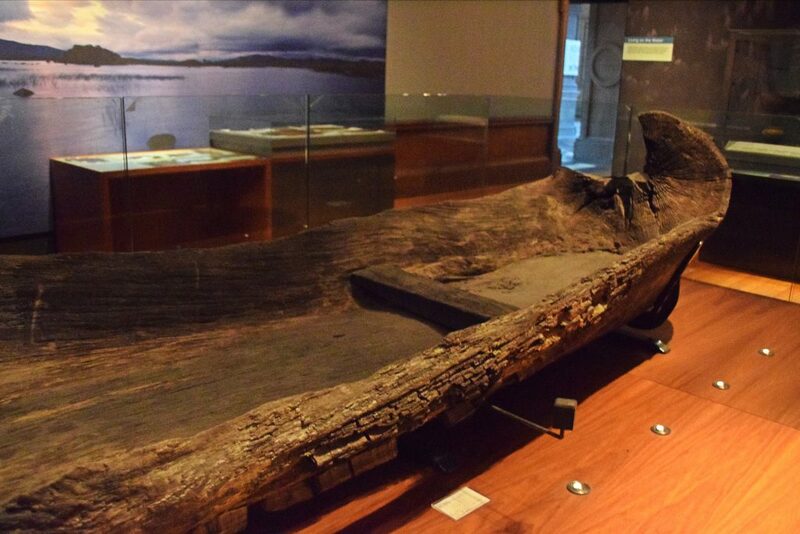 Torres Strait Islanders used these posts to celebrate a successful hunt. They are the only posts left in the world. 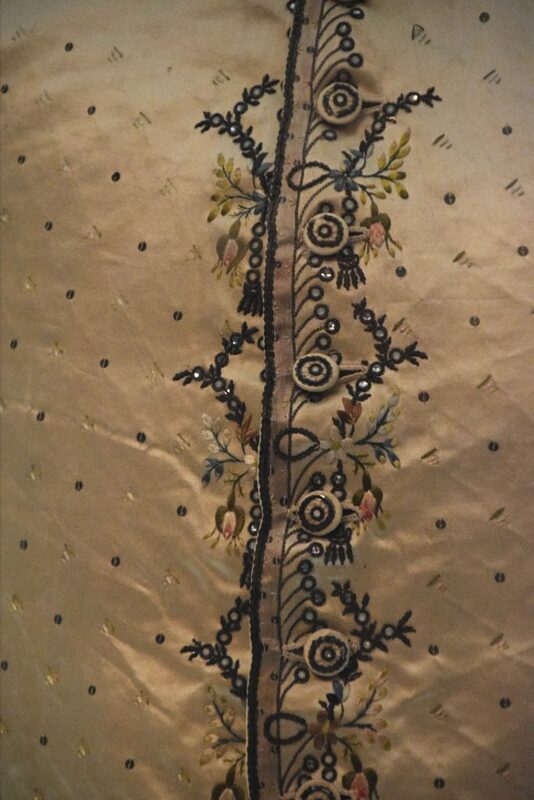 Wool blanket, 1700s-early 1800s, Kelvingrove Museum, Glasgow, Scotland. 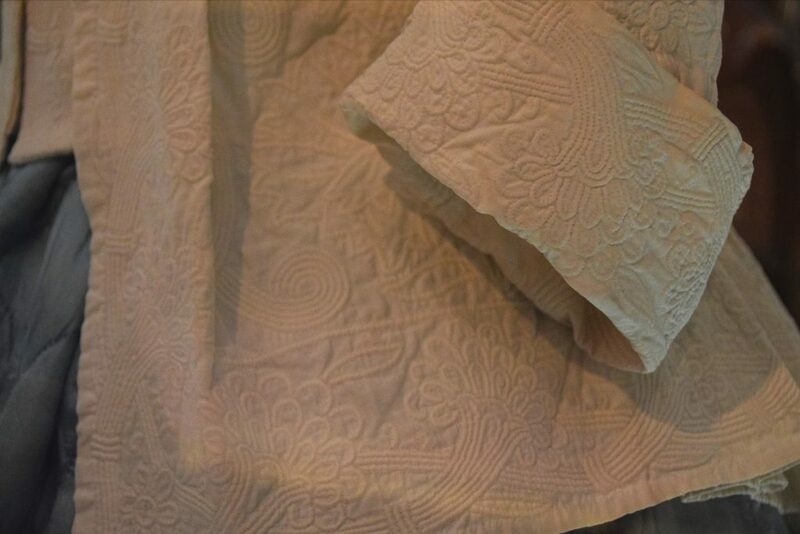 This plain blanket was said to have been worn by Bonnie Prince Charlie during his Scottish Campaign in 1745. 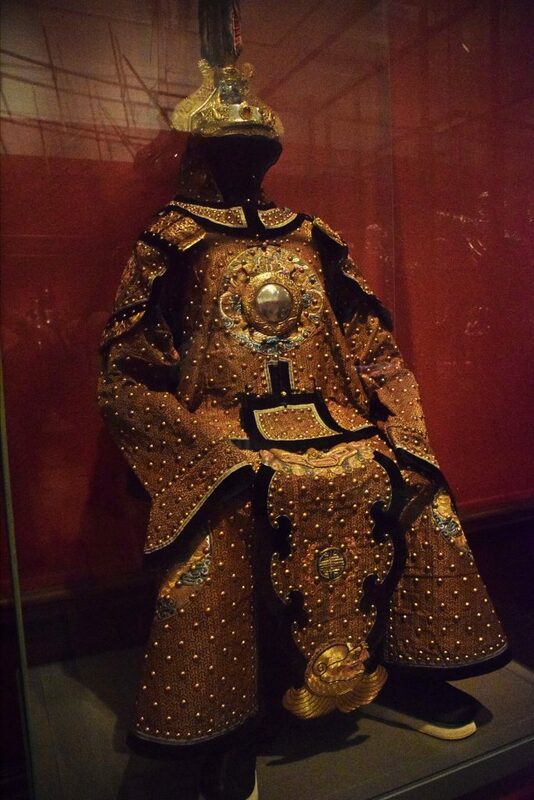 Ceremonial armour, c.1900, China, Kelvingrove Museum, Glasgow, Scotland. 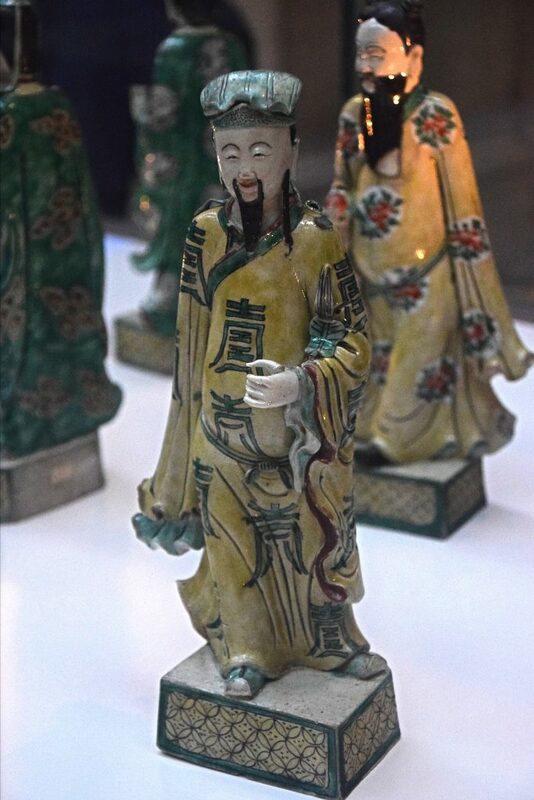 It belonged to a courtier who lived in the Forbidden City, Beijing. 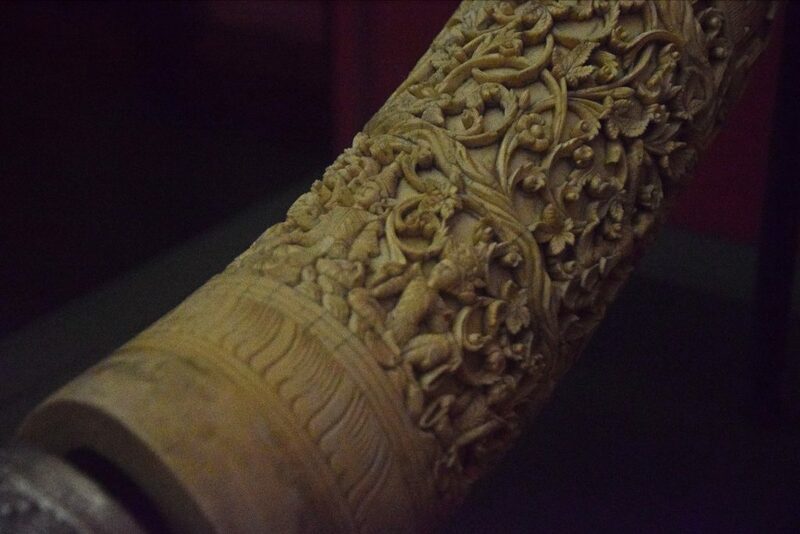 Carved Elephant Tusk, Myanmar, ivory & silver, Kelvingrove Museum, Glasgow, Scotland. It depicts scenes from the life of the Buddha. 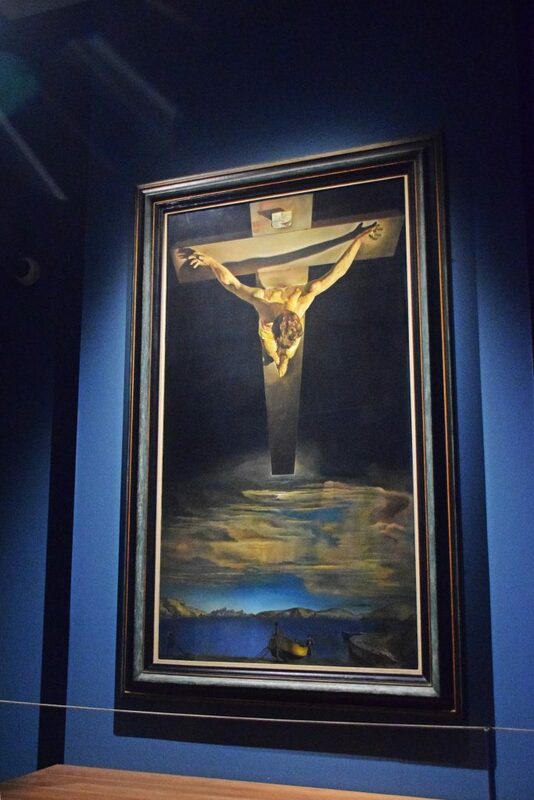 There are painting scattered in various galleries around the museum, but for thematic convenience, I’m putting them together to give a general overview of what’s on show. 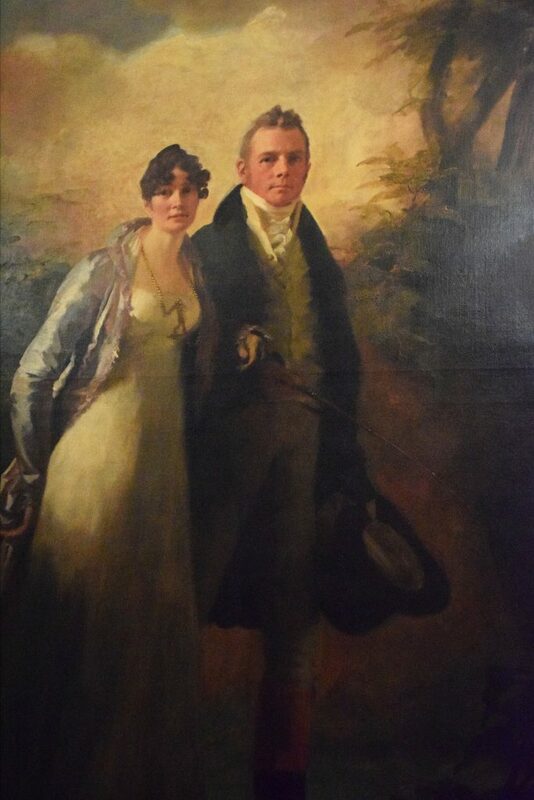 Robert Burns, “Auchendrane Portrait”, 18th century, Alexander Nasmyth, Kelvingrove Museum, Glasgow, Scotland. 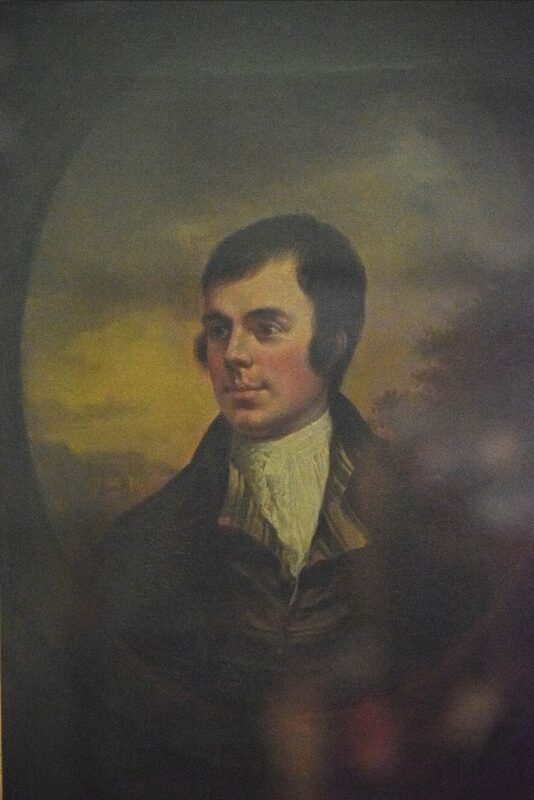 Nasmyth was a friend of Burns and this is one of the few contemporary portraits in existence. 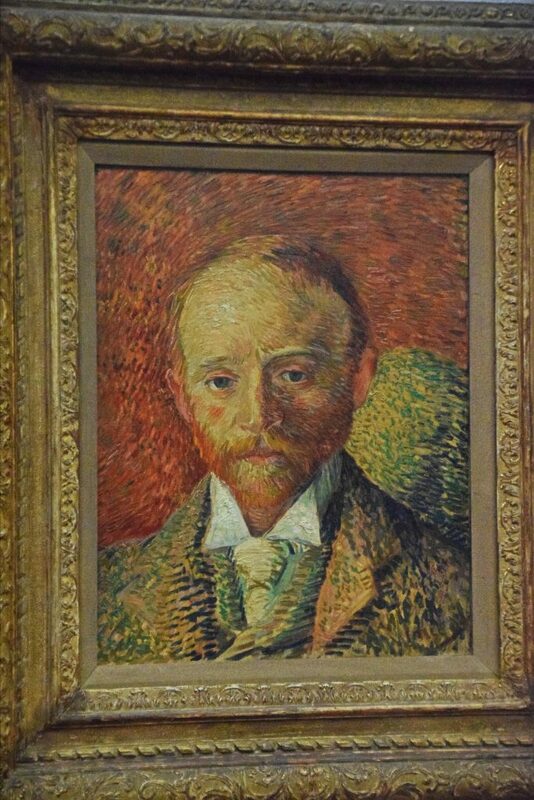 Alexander Reid, 1887, Vincent van Gogh, Kelvingrove Museum, Glasgow, Scotland. 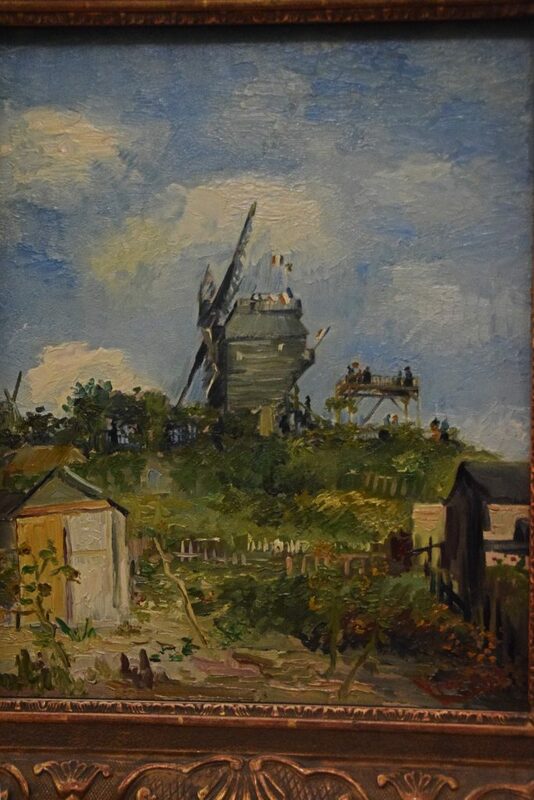 Reid was a young Glasgow art dealer who shared a flat in Paris with van Gogh for a few months in 1887. Surgeon treating a peasant’s foot, mid-17th century, David Teniers the Younger, Kelvingrove Museum, Glasgow, Scotland. The crystal ball symbolises vanity, and implies that the surgeon is incompetent and his patient is gullible. 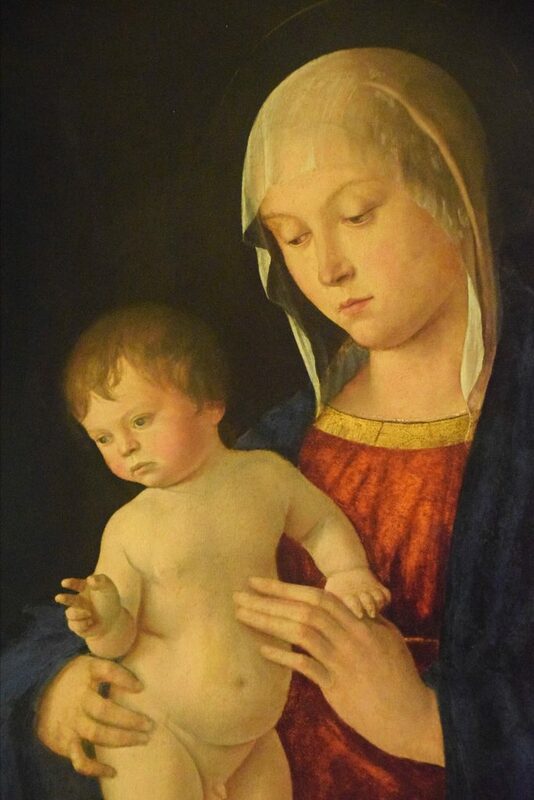 When I saw the next painting from a distance, I thought this was a Rembrandt too, but no. 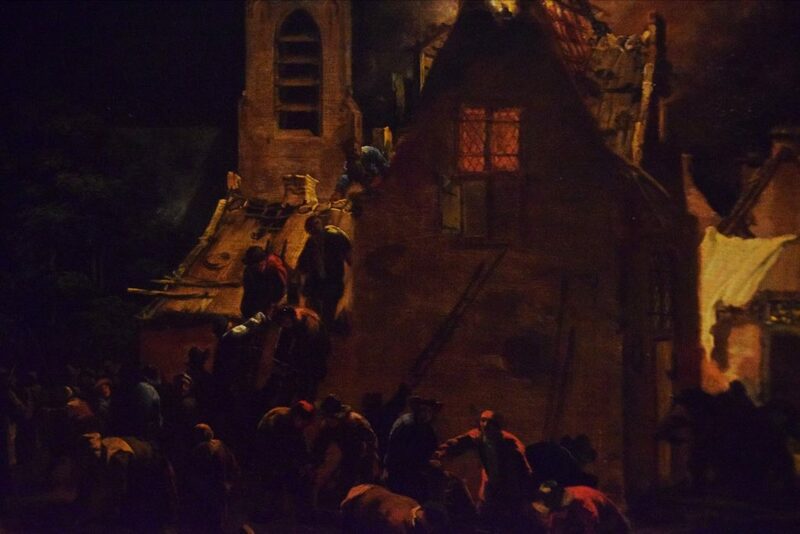 It’s actually by one of his students, Govaert Flinck. Rembrandt is known to have had many students who were trained up in his style and then helped the master to produce a steady stream of work. 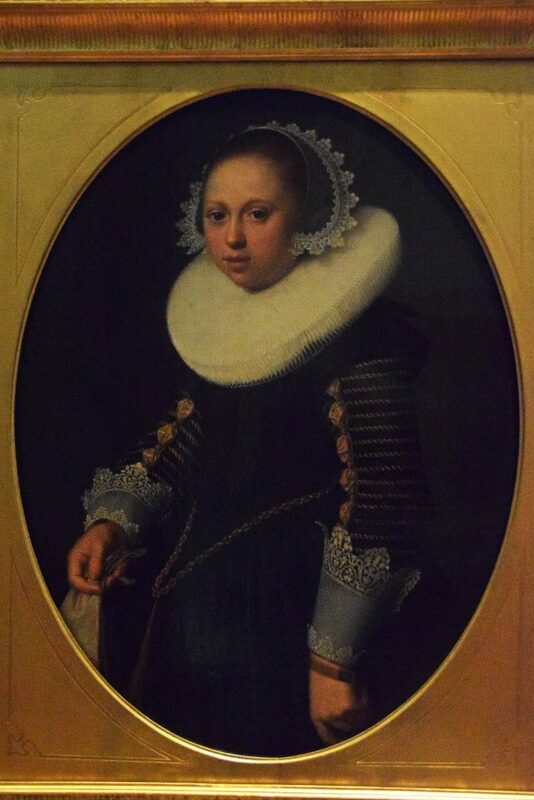 Flinck was one of his best students, and went on to have a distinguished career of his own. 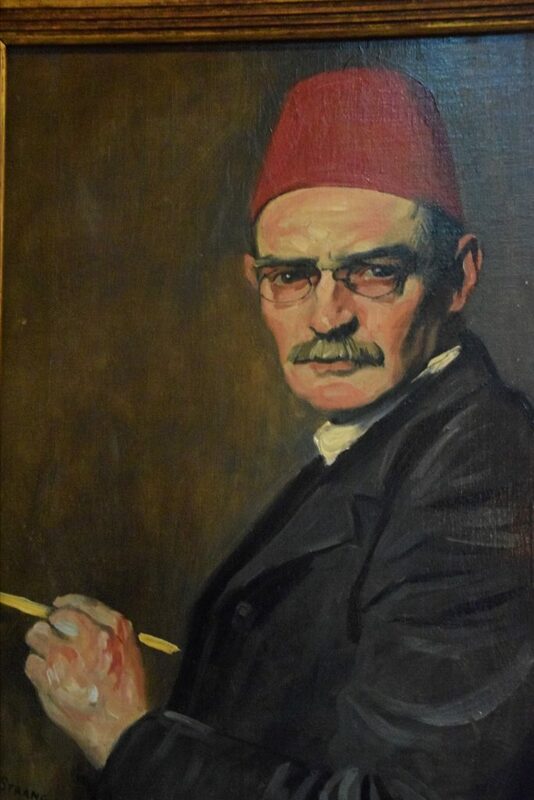 I absolutely loved this self-portrait – from the softness of the painting style, to the colours, and the serious little expression on his face. 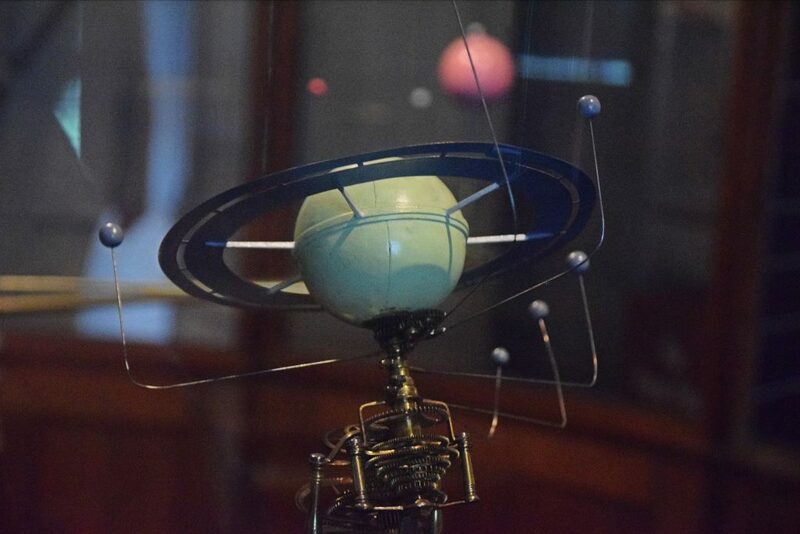 There were lots of interesting and beautiful items on show at Kelvingrove. 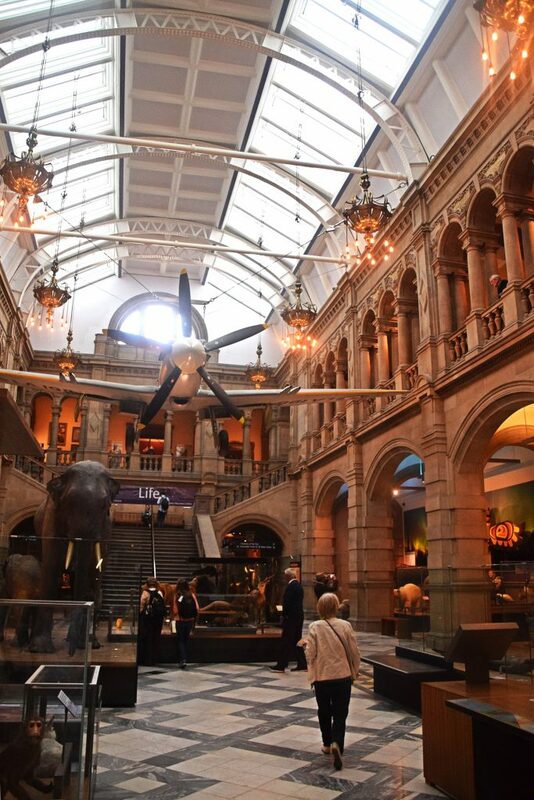 Yet perhaps because I’d visited the Edinburgh National Museum a few days before, and I’d expected Kelvingrove to be its equal, I have to admit I felt somewhat underwhelmed by the arrangements and displays. I also didn’t like some of the curation, and thought the rooms had the air of being renovated earlier than 2006. 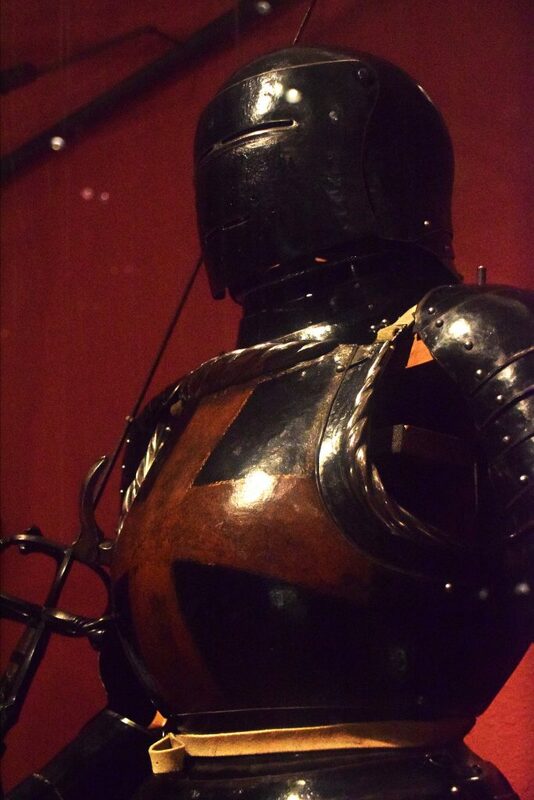 I think what I’m trying to say is that I felt the museum didn’t quite do justice to the often wonderful objects in its collection. 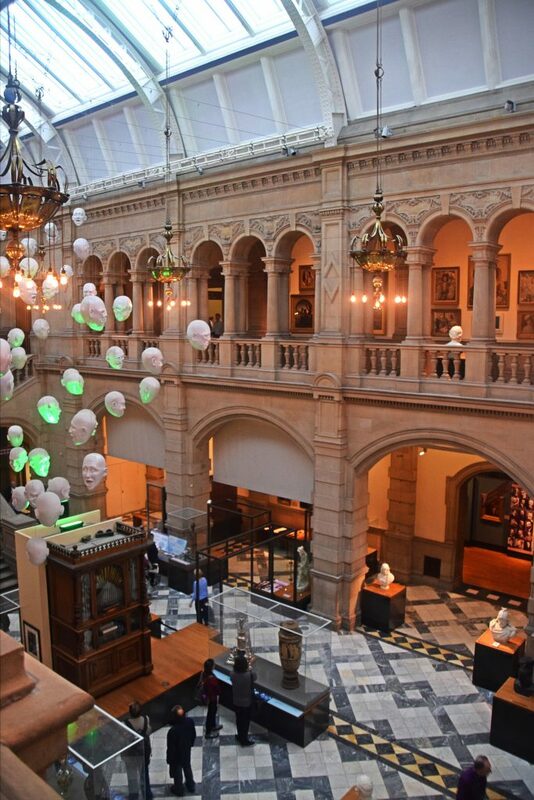 However, I’ve seen that Kelvingrove is one of the most popular museums in the whole of the UK, so clearly I’m in a minority here. But don’t get me wrong – I really enjoyed it, I’d just hoped I would love it. It’s also nice that the massive organ in the main hall of the museum is used daily. It felt a little like we were at the seaside and some of the organist’s music choices were… unusual, but it was fun. 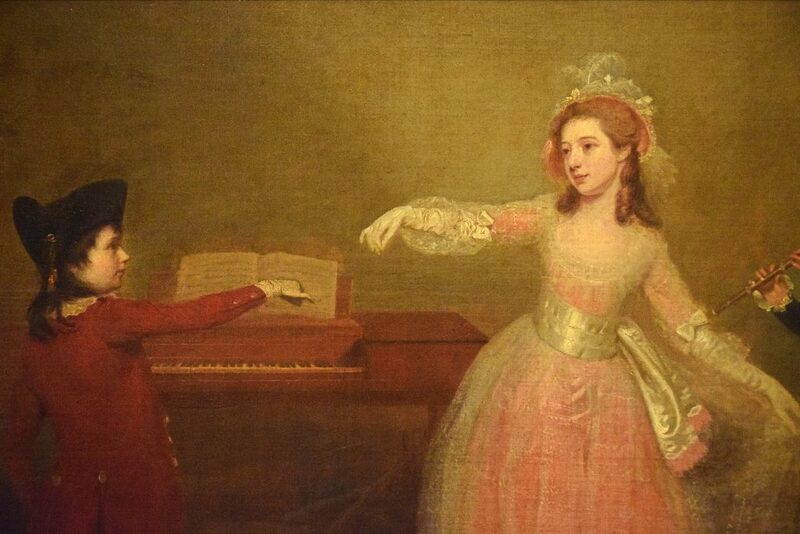 In a way this unexpected recital reflected the somewhat odd eclecticism of Kelvingrove itself. 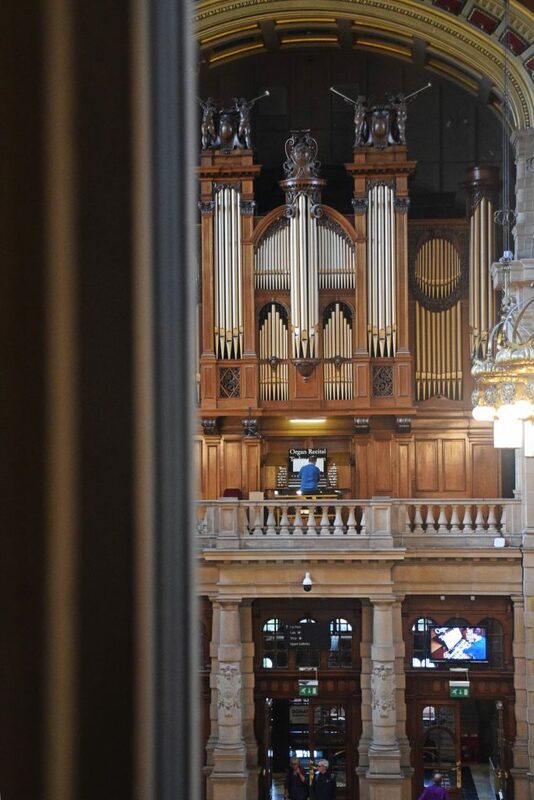 The Organist Entertains in Kelvingrove Museum, Glasgow, Scotland. Kelvingrove’s organ was built in 1901 by Lewis and Co, of London. There are daily recitals – which is a little disconcerting when you’re not expecting it and you think Vincent Price has appeared.